Smoothies are the easiest make-ahead breakfast! 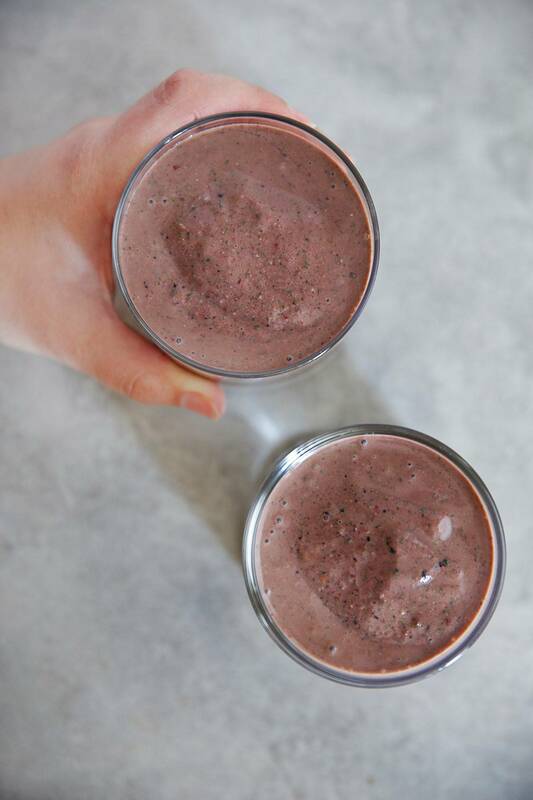 This Antioxidant Smoothie Freezer Pack is loaded with berries, spinach and flax seed and can be prepped in five minutes, and in bulk if you want, for a chill morning start that will keep you satisfied until lunch time. It’s vegan and naturally gluten-free for an antioxidant rich start to your day! We are on week 2 of our Make-Ahead Freezer Smoothie Pack series! You all know I believe that food can play a big part in not only keeping the body healthy, but also healing the body, so we are doing a series of 4 nutritionally-based smoothie packs that target specific health benefits, and at the end we’ll do a round up and a bonus 30 Budget-Friendly Smoothies guide! Last week we talked about chronic inflammation in the body, and how food can play a big role in keeping it at bay. Today we’re going to talk about why it’s important to consume foods that are high in anti-oxidants and what foods are the best to do this. Anti-oxidants help protect your body and cells from free radicals, which are unstable molecules that naturally occur in your body that damage cells and cause disease and aging. Consuming a diet rich in anti-oxidants help counteract the effect of free radicals and protect your body. Anti-oxidants are found in many common foods like berries, vegetables and sweets as well! Some common sources are: berries, nuts, dark chocolate, spinach, and artichokes! 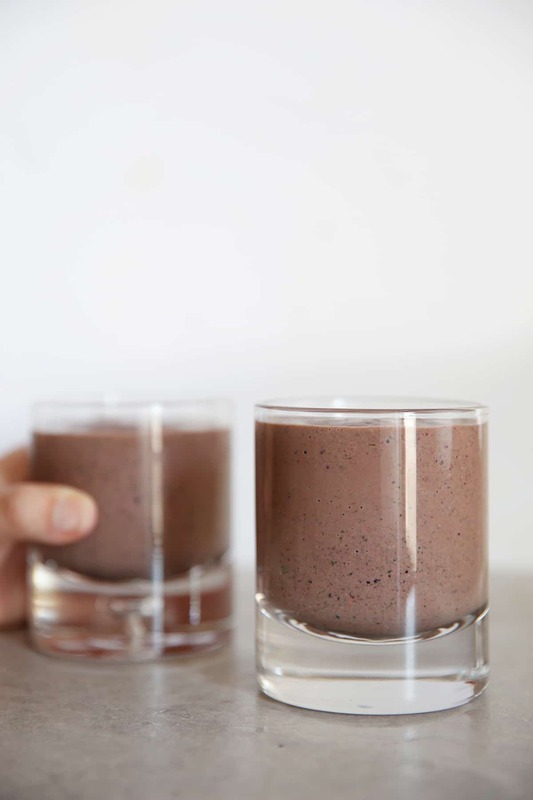 For our smoothie we’ve included berries, spinach, ground flax seeds and cacao powder! Place all ingredients, except almond milk, into a freezer safe bag. Freeze until ready to use, up to 1 month. Combine all ingredients, including almond milk, in a high speed blender. Blend until creamy, adding additional almond milk if necessary. 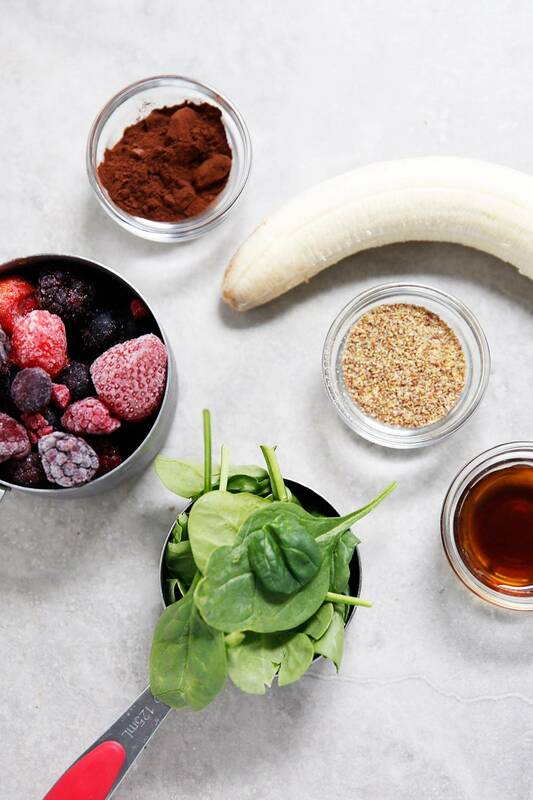 this antioxidant smoothie looks so powerful, perfect after the workout!